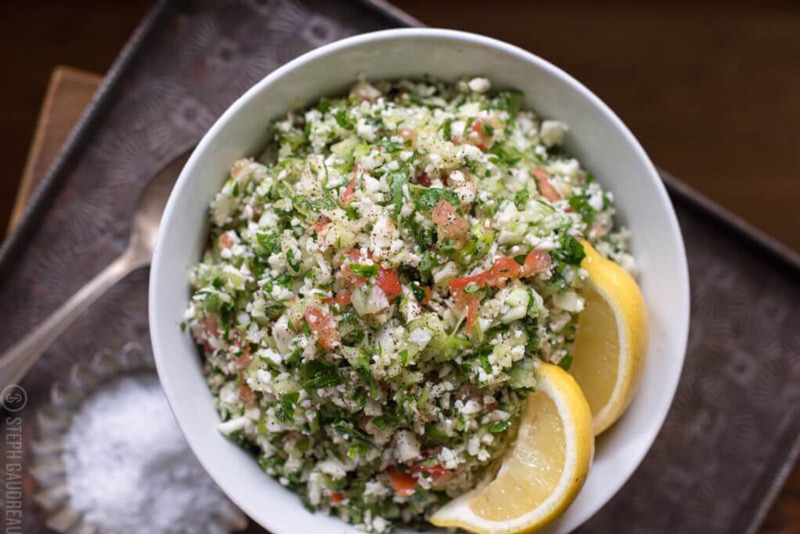 This Grain-Free Tabbouleh Recipe is perfect as a summery side dish or to bring to a cookout! 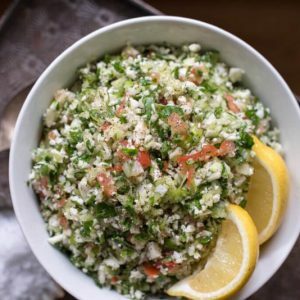 I love the flavors of tabbouleh – a Middle Eastern cold salad that’s traditionally made with a base of bulgar wheat – but I haven’t made it in years. The freshness of the mint and parsley, the crunch of the cucumber, the savory flavor of the tomato, the zing from the lemon…it’s perfect. Luckily, cauliflower comes to the rescue in this Grain-Free Tabbouleh recipe and makes a seamless substitute for the bulgar. 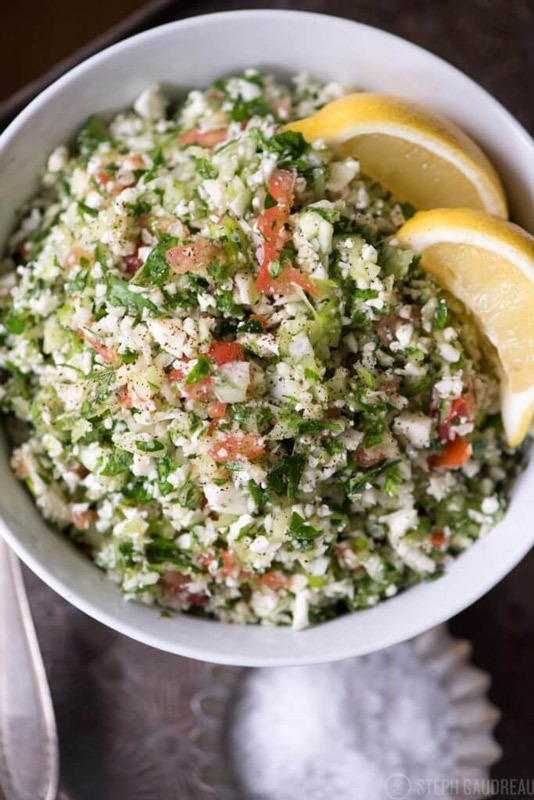 Besides the distinctive of fresh veggies and herbs, tabbouleh is identifiable because of its texture: everything is chopped into very fine pieces. 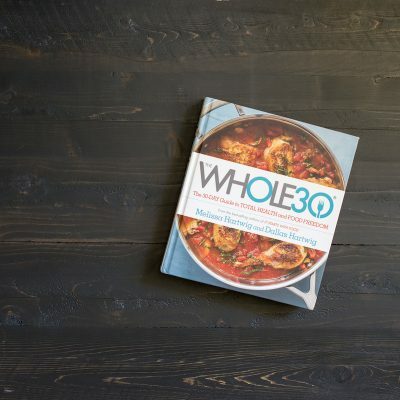 But you know, as much as I love chopping veggies – I really do, it’s quite meditative – sometimes, I just want to get in and out of the kitchen. The solution is to use a food processor to make this Grain-Free Tabbouleh. I was able to pulse the ingredients in small batches and make the whole salad in less than 10 minutes. You can chop everything with a knife if you’d like, but I highly recommend using a food processor. 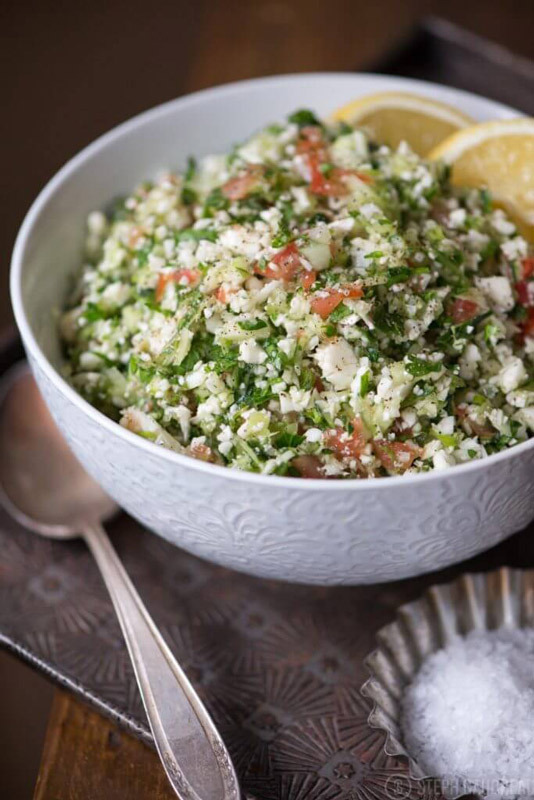 This Grain-Free Tabbouleh Recipe is perfect as a summery side dish or to bring to a cookout! 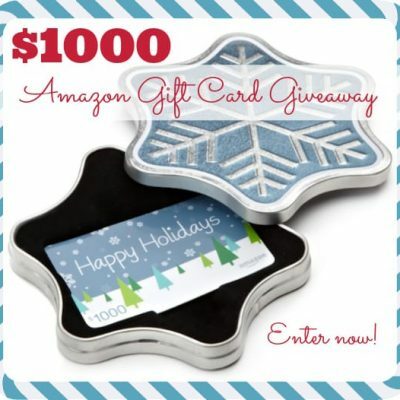 It's chock full of healthy veggies! In a food processor, pulse the ingredients in small batches until they are in small pieces, but not mushy. For example, the cauliflower should be roughly the size of rice grains or a tiny bit smaller. Start with the cauliflower and make your way down the list, pulsing the green onions, tomatoes, cucumber, parsley, and mint. After each small batch, move the veggies to a large mixing bowl. Once all the veggies have been processed down, add the lemon juice, olive oil, salt, and pepper. Stir well to combine. 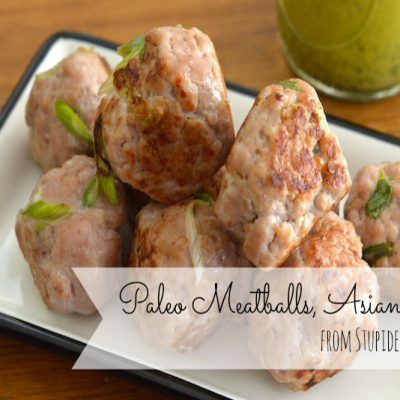 Serve immediately or store in the refrigerator, covered, for up to 3-4 days. Pin this Grain-Free Tabbouleh Recipe for later! 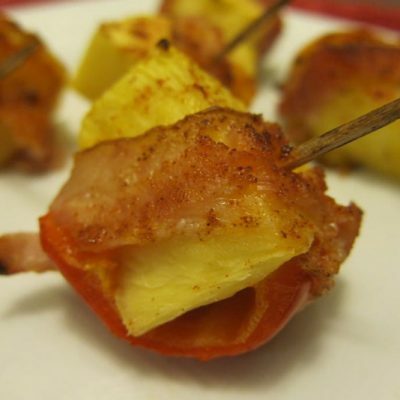 just found this recipe…AMAZING…THANK YOU! My husband is a self-proclaimed tabbouleh officinado 🙂 but with wheat allergies, it was been verboten in our diet! I even fixed this for my grandkids, thinking they probably wouldn’t “go for it”. . .boy, was I ever-so-pleasantly surprised. One asked me to be sure to please make it for her upcoming birthday–an 8 year old, no less!!!! I LOVE the name of your blog–exactly what I need!!!!! 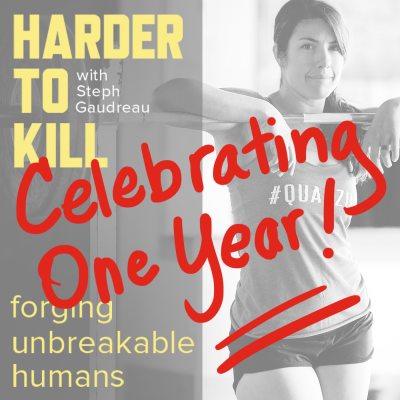 Thanks SO much for your creativity and helpfulness! Barbara, I’m excited to hear that you enjoyed it! Will be trying this one! Sweet!! Super glad to hear that, Jane! Ahhhh, Steph, this looks so good! I used to love tabbouleh, but haven’t had it in so long! Thanks for sharing this gluten-free version. Great idea to use cauliflower as a substitute. Can’t wait to try it! Kit, I’m excited to hear that you enjoyed it! My Dad used to always Tabbouleh made-up and as a kid growing-up I loved to have a dish or 3 of it. It was the perfect summer treat to me. Having become pretty well Paleo friendly, I have not had Tabbouleh in more time than I can recall. Sweet!! Super glad to hear that, Liam! Thanks for this, I’ve been making a batch every week. Ahhhh that’s so awesome Roy! 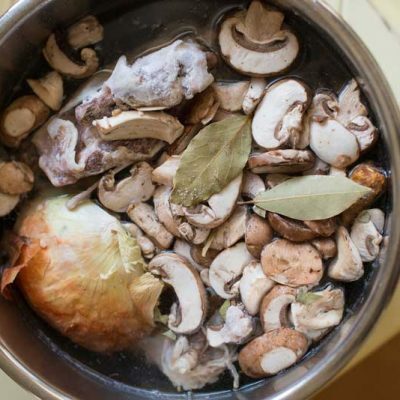 beef bones for my birthday (I do love my friends) so the bone broth recipe is timely, too! Kat, I’m excited to hear that you enjoyed it! Fantastic flavor! My 12 year old tabbouleh connoisseur didn’t even notice it was cauliflower until I told her. Great recipe, thank you! When the kids love it, I just think that’s the best thing ever. Thank you for sharing that with me Jess…made my day!